The city of Jhalawar was founded by Jhala Zalim Singh Ist, who was the diwan of Kota state (1791 A.D.) He established this as a cantonment, then known as Chaoni Umedpura. Legendary Jhala Zalim Singh recognized the importance of this place and started to develop it as a military cantonment and township, so that he could use the place to attack and stop Maratha invaders before they could reach state of Kota.<br />Chaoni Umedpura was established around 1803-04 A.D. Colonel Todd who visited this place in 1821 December described this area as the cantonment established by Jhala Zalim Singh plus a well established township with large houses havelis and surrounding walls. 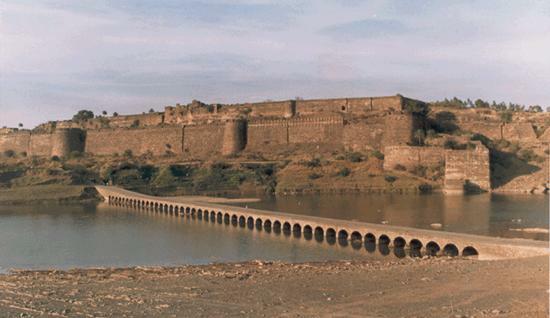 In 1838 A.D. English rulers separated the Jhalawar state from Kota and gave it to Jhala Madan singh, grandson of Zalim singh. 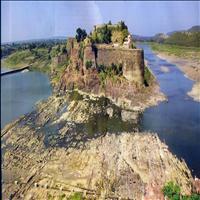 He developed his administration services to develop the state of Jhalawar. 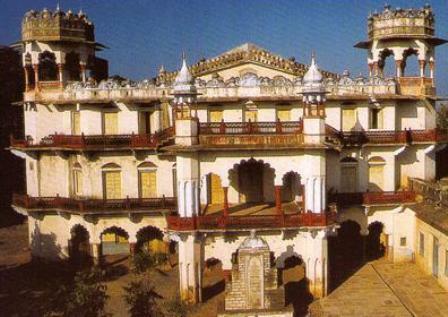 He resided in Jhalara Patan for a long time and built the Garh palace (1840-1845) He was the first ruler of Jhalawar state and made his contribution in the history of Jhalawar.<br />The land of Jhalas created in 1838 has a charm of its own. It is best explored on foot. Areas of interest are the fort which is located in the centre of town. An extensive fort, which now houses district offices. The zanana khas portion of the fort houses some exquisite painting and mirrors. 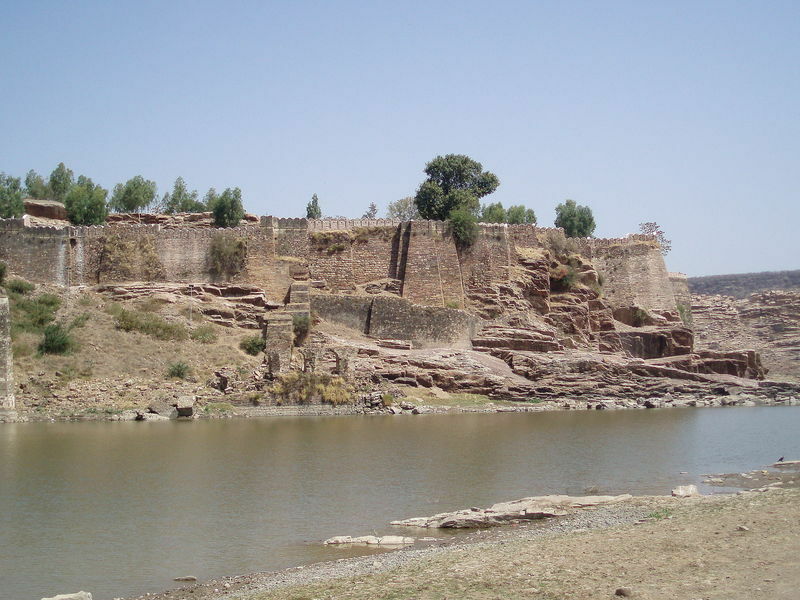 The city of Jhalawar is situated in the south-eastern region of Rajasthan, a region widely known as Hadoti (Hadavati), the land of Hadas, a major branch of the great Chauhan clan of Agnikula Rajputs. 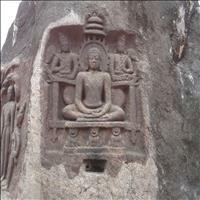 The ruins of this ancient temple extend over an area of 2 kms. 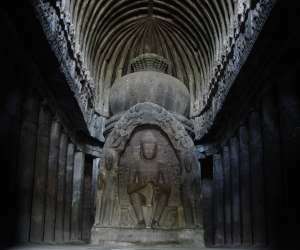 Marvelously carved pillars, torans and exquisite sculptures make these temples interesting. The town lies on river Chhapi where an irrigation dam is being constructed and is surrounded by dense forests and \r\n\r\nlush greenery. Situated in the centre of the town, this beautiful monument houses the collect orate and other offices. It was built by Maharaja Madan Singh during 1840-1845 and his successors later on added beautiful paintings inside the rooms which can be seen with the permission of the appropriate authorities. The Zeneca Khas has some excellent frescoes on both the walls and also has mirrors. Which are the prime examples of the Hadoti school of art. 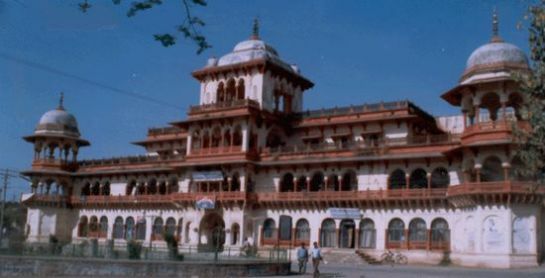 It is one of the oldest museums of Rajasthan established in 1915. Located outside the fort palace, it has fine collection of paintings, rare manuscripts, idols and beautiful statues of Lakshmi-narayan Vishnu, Krishna, Ardhanarinateshwar and Trimurti. Inscription of the 5th and 7th century also can be seen here. Most of the idols recovered from various ruins have been added to this collection. The Ardhnarinateshwar (Nataraj) , from this museum was displayed in the Festival of India held in Moscow. 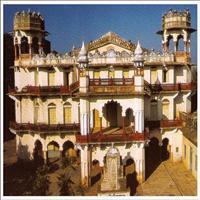 An interesting building near the fort was built by Maharaja Bhawani Singh in 1921. This unique theatre was built for the performances of plays and other cultural events. It was popular Parsi theatre in state times. This architectural marvel has been recently revived. The uniqueness lies in the deep stage with its underground construction allowing horses and even chariots to appear on stage. 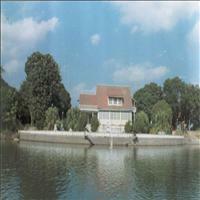 It is a beautiful wooden cottage on the banks of Kishan sagar, just 6 kms. away from Jhalawar on the Jhalawar- Kota road. The cottage, originally constructed y the forest research dpt of Deharadun, was brought by Maharaja Rajendra Singh from an exhibition held in Lucknow. Full expenditure of this cottage including the transportation and the reinstallation of Rs. 50,000 was paid by him. Amazingly it retains much of its original design. This small town is popular as !Ycity of bells!¦. Patan was a junction of trade caravan routes, thus the entire township resides within the confines of the wall, built to protect the caravans. Located on the banks of the holy Chandrabhaga river, Jhalara Patan was founded by Chandra Sen, grandson of Maharaja Vikramaditya. Colonel James Todd mentions counting 108 temples here. 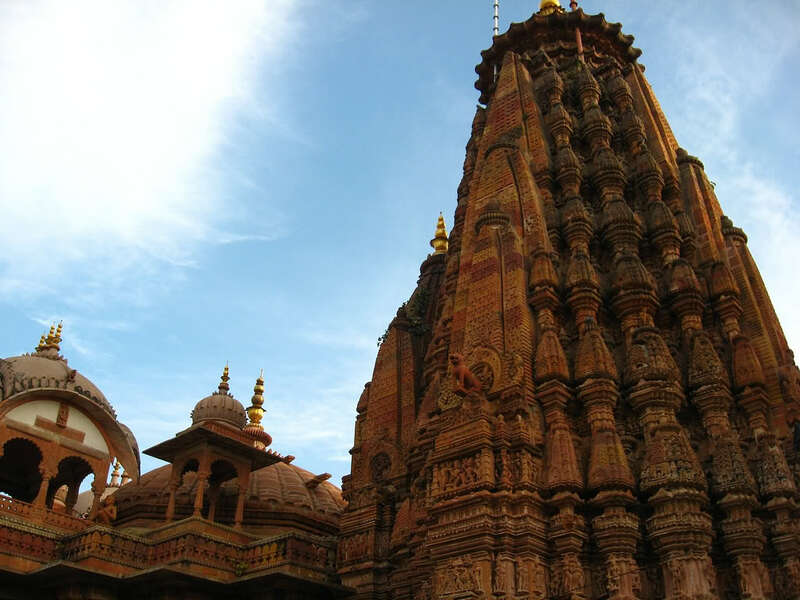 The famous 10th century Surya temple is 100 feet high and has lovely sculptures. 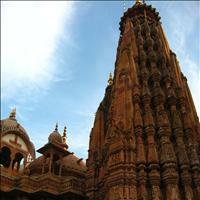 Nearby is the beautiful group of temples on the Chandrabhaga stream which rises from spring. They belong to 6th to 14th centuries. The 11th century Shantinath jain temple and the Dwarkadheesh temple built by Jhala Zalim simgh are amog other important temples. 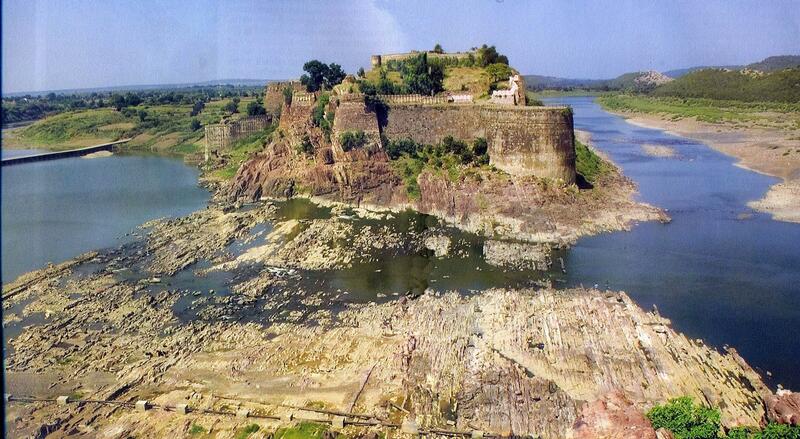 The foundation of this magnificient fort was laid in the 7th century and this was completed in the 14th century. Outside the fort is the dargah of sufi saintMittershah and a fair is held every year during moharram here. Monastery of Saint Pipaji is nearby, a contemporary of Saint Kabir.\r\nGagron Fort is perched on the low ridge of the confluence of rivers Ahu and Kali Sind, whose water surrounds it from three sides. On the fourth side was amoat, thus completing its defences. Gagron fort is one of those rare forts with Vana and Jala; i.e. both forest and water protected. The Mukundarrah range of hills jare behind this fort. 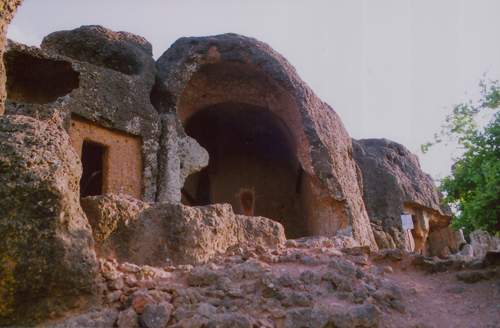 The ancient Buddhist caves located in the village Kolvi. 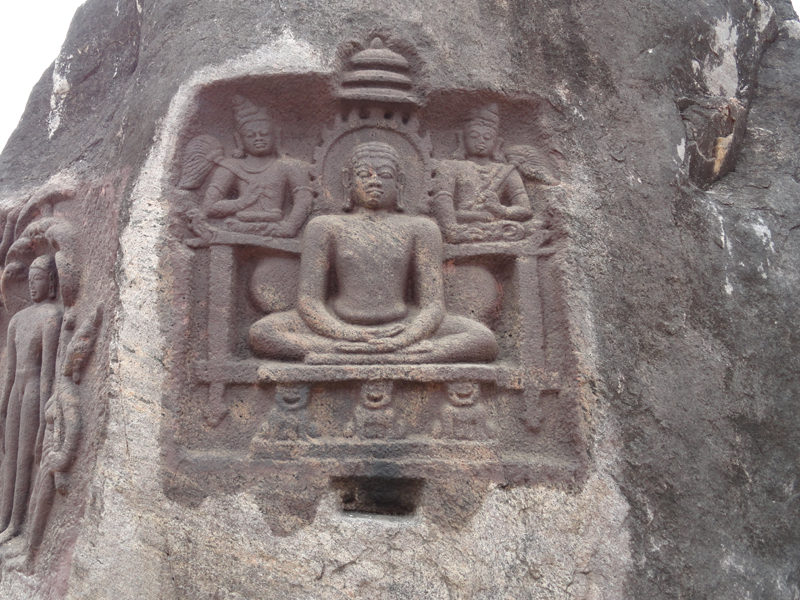 A colossal figure of the Buddha and the carved stu [pas are the most impressive structures in these caves. This is a 17th century temple. It has a 6 feet tall Adinath statue in sitting position. Accommodation and meals are easily available at reasonable rates in the temple. 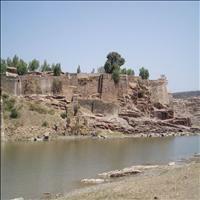 The dam built on the Ujad river is near the capital of the Khichi Chauhan rulers. 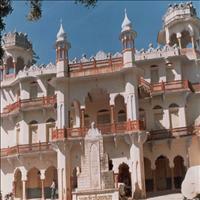 Bhimsagar gives a glimpse of the rajput architecture in the ruins of the palaces, temples and mosques.